Following the FBI revelation of re-opening the Clinton Email scandal, doom is seemingly in the horizons for the Clinton Campaign, and it looks like they know it. 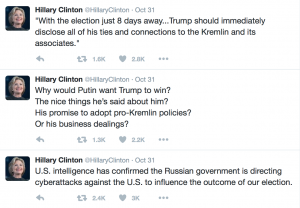 If you thought Hillary had a negative campaign that focused entirely on Donald Trump before, then you haven’t seen her now. 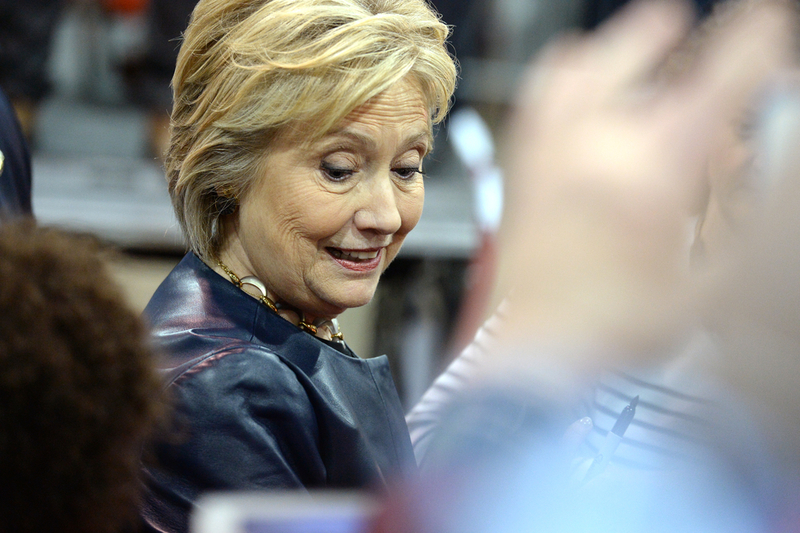 During Hillary Clinton’s twitter tirade over the weekend, the Democratic Presidential Nominee requested that Donald Trump disclose all ties to Russia, which was then immediately debunked by NY Times. 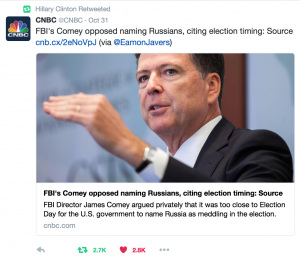 Clinton also retweeted an article from CNBC claiming that James Comey opposed naming Russians in the meddling of US elections, effectively suggesting that our FBI Director is also working for the Russians. On October 30th, Hillary Clinton tweeted a link of all the people that Donald Trump has offended. 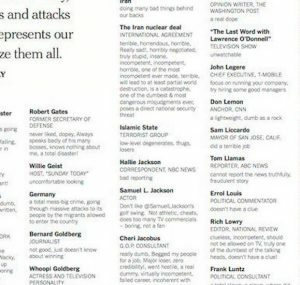 The only problem is that ISIS is listed as a group undeserving of his insults. Taking a look back at the Republican primaries we seen similar tactics from trumps opponents. We all know how that ended. His competitors all seem to reach the same mode of panic and the worst mistake they make is playing on his field.